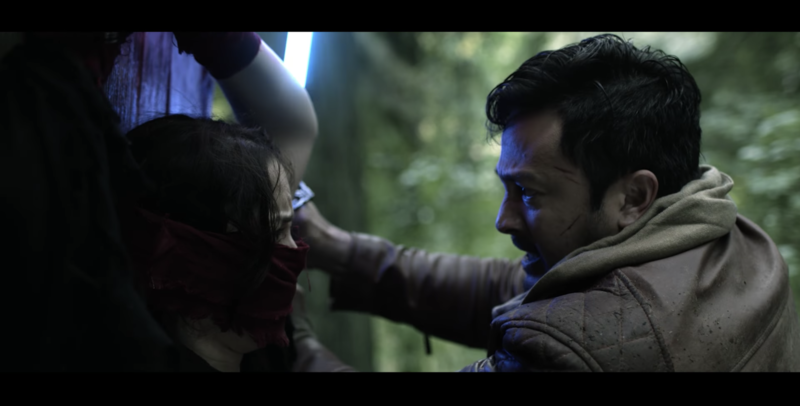 It was our pleasure to interview FanFilm Awards 2018’s winner for Best Actress, Actress & Producer of FanFilm, The Force and The Fury: Deborah Smith. Leading the interview is our Founder & CEO, Stefanie Warner. 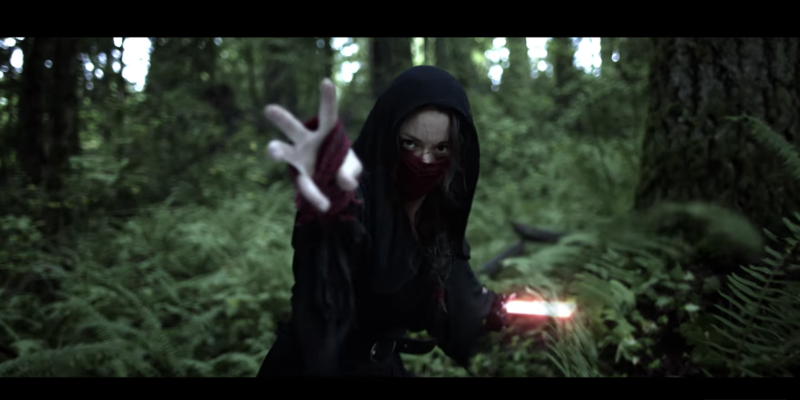 STEFANIE: The Force and the Fury is a wonderful addition to the Star Wars fandom universe. You play a character that is on the path to the Sith. Can you tell us a little bit about your character? Were you able to relate to her on a personal level? DEBORAH: One of the reasons I was so excited to play Qira is that I felt like it was a wonderful throwback to classic Star Wars in which each character has a strong fight against good and evil. I believe we all have a mix of good and evil inside of us, and our surroundings and experiences push us to react in different ways throughout our lives. The director and I spent a great deal of time talking about her character and I created an entire backstory about how she related to Aiden and why she is seeking revenge against him. The key, however, was to still focus on the humanity of her character because even Siths have some good buried deep inside them. STEFANIE: Most of the film hardly any words are exchange. In fact, your face is covered for a good half of it. What other ways did you find a way to communicate your character to the camera? DEBORAH: I truly believe that the eyes are the most expressive part of a person, and therefore, an actor’s greatest tool. Because my face was covered, I made sure I truly understood Qira’s pain and depth because it all came out through my eyes. The eyes truly are the window to the soul! STEFANIE: It’s to my understanding that the film was shot in a local forest. It made the overall film look breathtaking! The way that the characters moved through the set really added to the feel of adventure. What were the challenges in filming outdoors? With all of the levels of terrain how was working in such a set? DEBORAH: The film was shot just north of Portland, Oregon, and we could not have asked for a more beautiful and perfect location. The locations are always important aspects in a Star Wars film and so we wanted to make sure we did tribute to that element of the franchise. 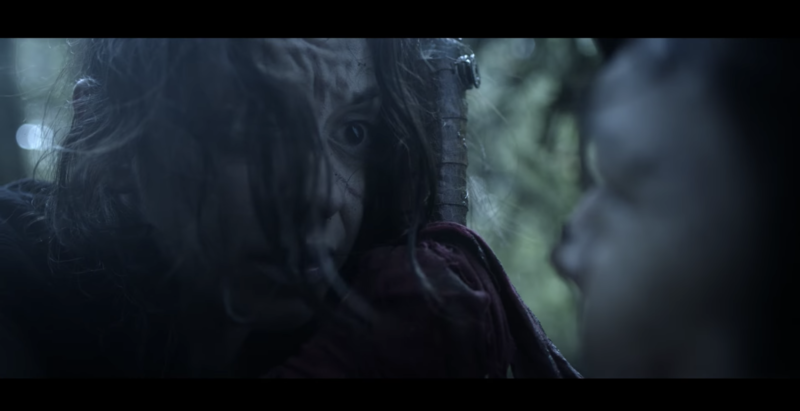 It was challenging to film in the forest, especially for the fight scenes because it is difficult to ensure that your footing will always be stable. Of course, we had an incredible team to ensure our safety and so everything went off without a hitch! I would say the most difficult part was the change in weather. We shot over three days and one day it poured all day which made it difficult to match the color and environment to the other two days. STEFANIE: There are some quick but brilliant fight scenes in this film. How did they tie in with the overall way that you communicated your character on screen? What do they aid to the overall plot of the story? DEBORAH: One of the greatest strengths of this piece was the brilliant fight choreography created by Aris Juson. With the help of the director, Jason Satterlund, Aris made each fight into an emotional dance that showcased the relationship between the characters. In fact, the fights were choreographed backwards because the director wanted each fight to end in a sort of loving embrace that would contrast with Qira’s anger at Aiden. STEFANIE: The ending of the film is when us as the viewers really see the depth ofyou and (actor) relationship. How did you two coordinate in acting to build up to the finale? What was the process through it? DEBORAH: Aris Juson (Aiden), and I, spent a lot of time connecting on a personal level so we could easily trust each other and reach that emotionally turbulent ending. We talked about our characters, how they fell in love, what their future could have been, what they would have named their children; lots of different theoretical scenarios that could have been. Once we did that original emotional work, we thought about that entire future being ripped from us, and the rest came naturally. STEFANIE: The beginning of the film, we are shown a black screen with the words ‘for Carrie’. What made your team decide to dedicate the film to her? Does this film reflect some of what she contributed to the Star Wars Universe? DEBORAH: The decision to dedicate the film to Carrie Fisher was an easy one. We were editing The Force and the Fury together when she died and it rocked the entire team to our core. She was such an important part of the franchise and the film industry in general. Carrie broke down walls with her important portrayal of Princess Leia and similarity, this film breaks down barriers because it is the first live action story about a female Sith. STEFANIE: Thank you for answering these questions Deborah. Thank you for your stunning performance in The Force and the Fury. What are some other works that we can look forward to seeing you in? DEBORAH: I have some really incredible projects coming out that I am extremely excited about. I starred in a feature film last summer called “Last Three Days” that will be released in the next few months. In this film, I play the wife of an undercover cop who ends up being dragged into an underground drug cartel and the impact that it has on her and their marriage. I also starred in a short film in March called “I Can’t Do This” about a woman who meets her birth father for the first time, only to discover that he has early onset Alzheimers. As an actor, it is often difficult to find characters with depth, but both of these roles have incredible character arcs. I truly enjoyed both of these roles and can’t wait to share them! The best way to stay on top of my many projects is to follow me on Instagram (www.instagram.com/deborah_lsmith) and I have a production company (Deep Sea Pictures) with a wonderful film in pre-production that you can learn about on Instagram as well (www.instagram.com/deepsea_pictures)! I was surprised to hear that it rained on and off during filming. I happen to think that the rain may have inadvertently may have made the scenes more dramatic but maybe others disagree.